The iOS game gold rush is over? 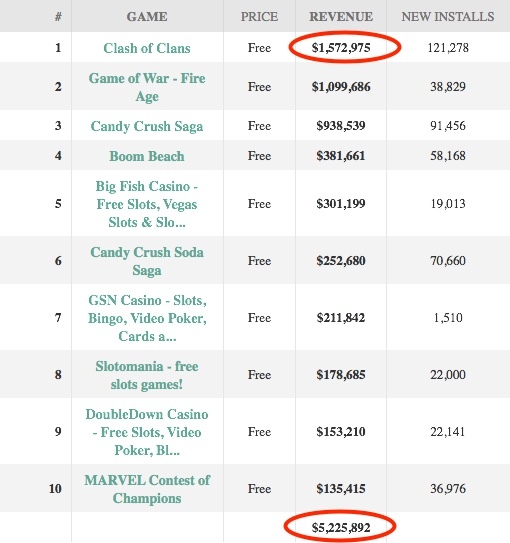 While it is certainly more difficult for code n00bs to crack the iOS Top Game list, Clash of Clans revenue proves conclusively that the rewards are still there for people with the focus and dedication! Think Gaming has collected, collated and published an interesting if not outright shocking a Top 50 iOS Game listing by revenue. That said, the Top 10 iOS Games by revenue pull in more than $5.22 million per day (bottom image). 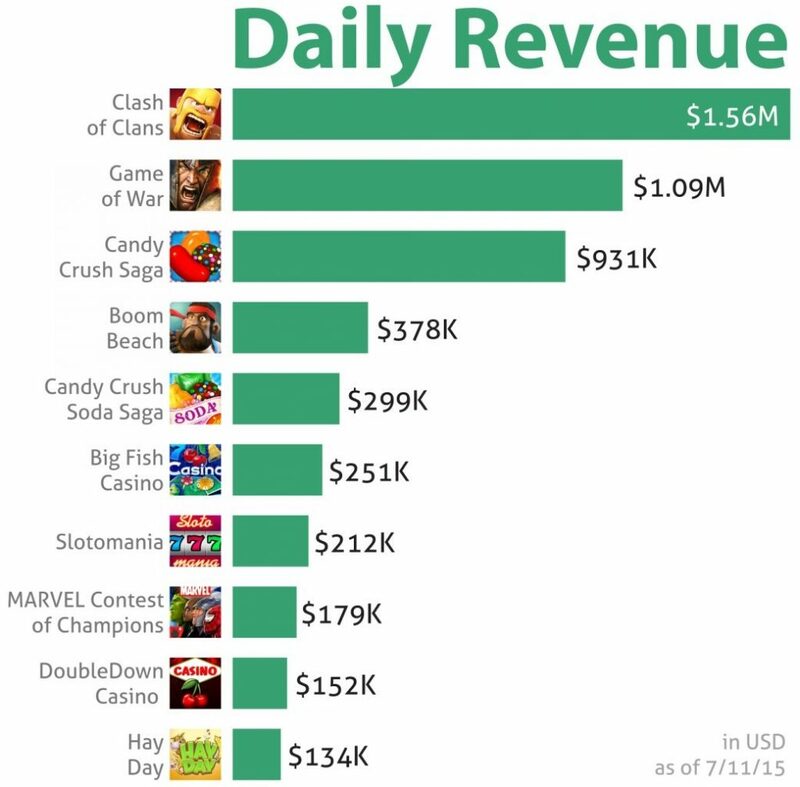 Of that total, Clash of Clans accounts for $1.56 million daily — I could retire on a single day’s take! So, now do you want to learn code? How about your kids? One of the secrets to Clash of Clans is its — runs on any iThing running iOS 5.1.1 and later — broad compatibility. Moreover, developer SuperCell offers optimized Clash of Clans versions for the people with Apple’s latest “bigger than bigger” iPhone 6 and iPhone 6 Plus. Additionally, Clash of Clans and the other members of the iOS Top 10 listing are so-called freemium games, which are free-to-play but difficult to win. Those that spend money on virtual enhancements, priced from $4.99 to $119.99, get a definite advantage. 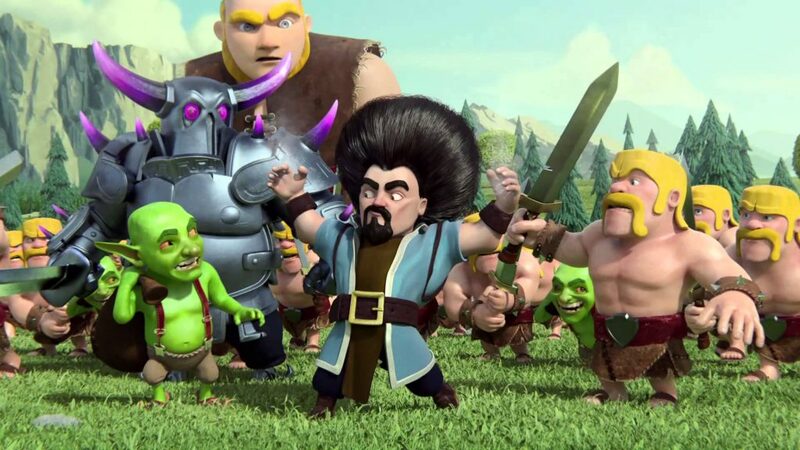 Which iOS games do you play and do you purchase in-app upgrades, like Clash of Clans pile o’ gems?